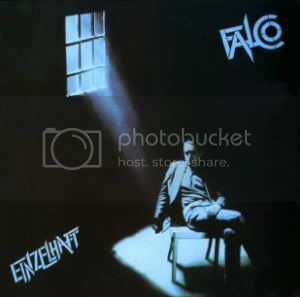 You may be tempted to write off Falco's 1982 debut as the album that contains "Der Kommissar," but doing so would make your life tragically devoid of songs like Auf der Flucht and Ganz Wien. I've got a soft spot for this album, too. Early eighties Bowie ripoff, but that's not a bad thing, really. Have a worn old cassette of this, and a couple of years ago found the used vinyl in a dollar bin, Thank you for a digital copy! Great blog! If you'd like something removed or reposted let me know.